Newcastle United defeat Manchester City: Can Pep still pip Liverpool to the title? Through a formidable attempt at the title seen by Jurgen Klopp's Liverpool, Manchester City have been left with no choice but to win every game, keeping closely behind their Merseyside rivals, with hopes of eventually leapfrogging them in future weeks. The consistency shown by Liverpool has been enough to keep them in pole position for the title, but Manchester City decreased the gap in beating Liverpool at the start of 2019, posing as the only side capable of defeating Liverpool in the league for the entire 2018/19 season so far. A lot of Liverpool fans remain reluctant over whether or not to genuinely believe their club's chances of winning the title based on past experiences - most of all in the 2013/14 season where Liverpool were devastated in throwing away a three point lead with three games left to play - but they look more capable this season with Klopp at the helm. Even with a more recognised manager in charge and a significant injection of squad depth over the summer, Manchester City are assumed as being the more likely league champions, but their midweek fixture with Newcastle United showed a different side to the Citizens, as they went from winning 1-0 to losing 2-1. The season originally started with all of Chelsea, Liverpool, Manchester City, and Tottenham Hotspur looking worthy of being involved in a four-way title race, but with inconsistencies from Maurizio Sarri's change of philosophy at Stamford Bridge and a scattering of decisive injuries at White Hart Lane, it's been down to Manchester City and Liverpool to decide the winner of this year's Premier League campaign, and there are question marks over whether Manchester City can keep up with the current league leaders. Resulting on the 12th May, the Premier League could still be decided when Liverpool host Wolves at Anfield and Manchester City play away to Brighton. There's a long way to go until we reach this point though, City playing thirteen other fixtures, including their current schedule, where they're set to play three Premier League games in the space of seven days. If this wasn't enough, the matches are difficult tests made up of Arsenal, Everton, and Chelsea. Pep Guardiola will see no issue with having to play out these fixtures after finding past consistency in last season's campaign as well as during immensely successful stints at Barcelona and Bayern Munich. There's no doubting how much of a test the coming weeks will be though, especially with Manchester United playing a part in how the season will end. Adding yet another variable to how the season will play out, Manchester United are pitted with the task of playing both Manchester City and Liverpool before May. 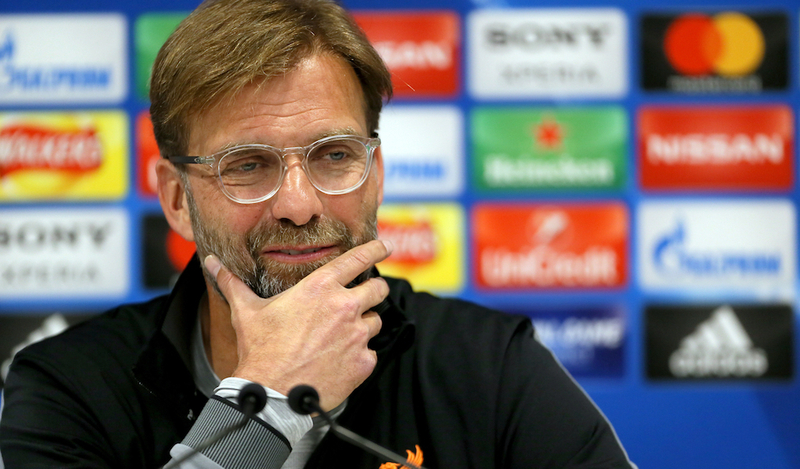 Liverpool fans have speculated on this especially, as they play their team first, leaving a fixture with their local derby rivals where they could even be gifted the option to decide who wins the title based on whether or not they choose to turn up against Manchester City. It would be fair to see that as a mere conspiracy theory, but based on the fluctuations this season, Liverpool fans have chosen to cover all options in hopes that they can finally seal a league title for the first time since 1990. Defender Aymeric Laporte has made the second-most appearances for Manchester City this season after goalkeeper Ederson. There's a sense of pride towards Newcastle United manager Rafa Benitez from Liverpool fans, as he previously led the Merseyside club to a Champions League and FA Cup before a number of moves resulted in him returning to the Premier League with Newcastle. Even after defeating Manchester City, they only find themselves as high as fourteenth in the table, and the win is even more astonishing after a lack of players and issues with owner Mike Ashley made the situation almost unbearable for Benitez to get past; whether Rafa will be quite as generous when he plays his former club at the start of May will be another question. Jurgen Klopp's efforts at finally winning a Premier League title for Liverpool has been spectacular, helped through finally sealing the signing of a world-class goalkeeper in Alisson Becker, as well as bringing in further reinforcements through RB Leipzig midfielder Naby Keita, Monaco defensive midfielder Fabinho, and Stoke City winger Xherdan Shaqiri. They've been truly formidable to show progress since their Champions League final defeat last summer, but nobody expected them to be quite so solid, taking until their meeting with Manchester City in January before they saw their first league defeat. Between Mohamed Salah, Roberto Firmino, Sadio Mane, and Xherdan Shaqiri, they've had goals in abundance, but weathered Liverpool fans will put their key piece of the puzzle down to their defence, which has been vastly improved through Virgil van Dijk more than anyone else. Defensive stability hasn't been in attendance at Anfield since the partnership of Daniel Agger and Martin Skrtel, or arguably even dating further back to when Sami Hyypia partnered Jamie Carragher. The Dutchman has conducted the back four in fine style, with him looking like the most crucial person in their starting eleven, and making any potential injury for the defender into a genuine panic, as it could be the one issue that ruins all hopes of finally clinching the Premier League. Despite sitting top of the Premier League, Liverpool only look genuinely capable of winning the title if they take three points from every side they face. This season has shown Jurgen Klopp to prioritise the Premier League and the Champions League over the League Cup and the FA Cup, leading to some criticism from those who see it as a disrespectful view of one of England's finest institutions. The truth of the matter is that he's aware of how important the Premier League title is, and he will stop at nothing to assure that it comes to Anfield in May. Whether he reinforces his squad before Thursday is another quandary that the German will have to deal with, but in aiming to defeat Leicester City at home on Wednesday night, they're given an opportunity to move seven points clear following Manchester City's error at St James' Park. Virgil van Dijk is rumoured to be out through illness and both Joe Gomez and Trent Alexander-Arnold are doubts, so there's already a lot of tension around the red half of Merseyside as Liverpool look to capitalise. WOULD PEP GUARDIOLA EVER CONSIDER FOCUSING ON OTHER COMPETITIONS? Achieving two Champions Leagues, three La Liga titles, three Bundesliga titles, a Premier League title, and eight domestic cups from all three countries he's managed in presents Pep Guardiola as a serial winner, and that's only from his time in management. Plenty of Premier League managers have been proven to disrespect the FA Cup over past weeks, with Tottenham Hotspur's Mauricio Pochettino and Liverpool's Jurgen Klopp being two of the main culprits, but Pep Guardiola manages to compete in every competition at his disposal without worrying about a need to prioritise one tournament over another. The squad depth at Manchester City is sublime, catering to two perfectly capable starting elevens before even touching their reserve players, but other teams who are pushing for Premier League success could be hindered by lacking the same level of depth. Jurgen Klopp played a team primarily made of youngsters against Wolves in their FA Cup Third Round exit in January, but he also opted to loan Nathaniel Clyne out to Bournemouth and allow a further twelve players to leave last summer on loan or permanent deals, with only four incomings. The former Borussia Dortmund boss has put all his eggs in one basket, exiting the FA Cup in the previous round and leaving the Carabao Cup even earlier after playing a second string side against Chelsea back in September, but Pep Guardiola has clear intentions to push for wins at every opportunity. It would be fair to say that Guardiola has been fighting for every piece of silverware this season. 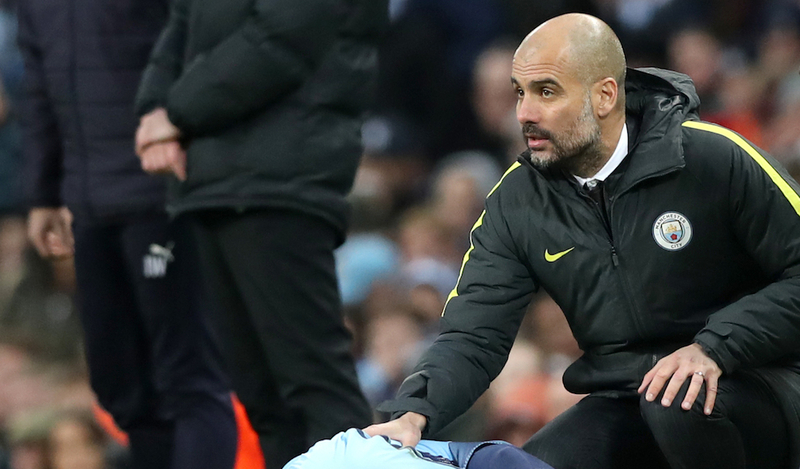 There's absolutely no chance that Pep Guardiola would throw in the towel when it came to the title race, and he certainly wouldn't be the world-class manager he's hailed as being if he caved in so easily, but with Champions League odds indicating Manchester City as the favourite to win this season's tournament, the Carabao Cup final in February, and another opportunity in the form of the FA Cup, there could be a moment in future weeks where Pep Guardiola has to pick one piece of silverware over another, with the Champions League arguably being more important to him than the Premier League.